Respectable gentleman Dr Henry Jekyll only needs swallow a beaker of strange potion to become evil, murdering Edward Hyde. 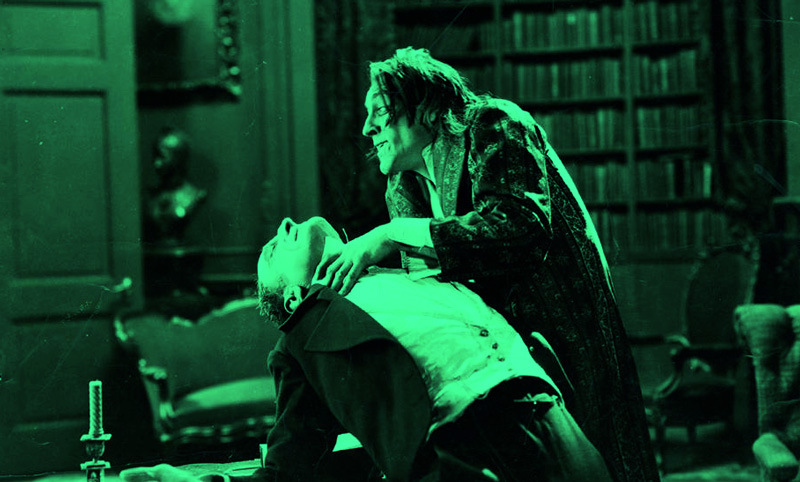 Robert Louis Stephenson's gothic tale is brought to sinister life in this 1920 silent film version starring the greatest actor of his age, John Barrymore. This silent film will be accompanied with live piano accompaniment performed by Jonny Best. NB: It's best not to use GPS to find Choppard's Mission - the small country lanes tend to confuse most systems. Special thanks to Christopher Wibberly, owner of the 16mm film print we'll be screening.